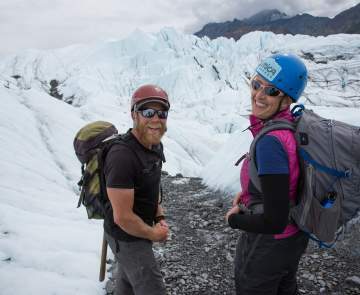 The Mat-Su Valley is filled with events for the whole family, from film festivals and concerts to running races, community celebrations and annual events. 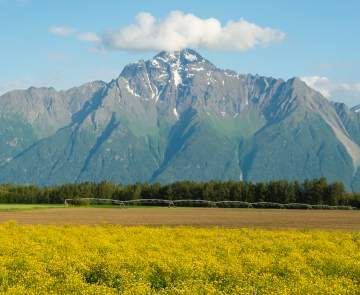 Check out the calendar of events to plan your stay in the Mat-Su Valley. Or, plan your trip around one of our popular annual events such as the Iditarod, the Alaska State Fair, Palmer Colony Days or Talkeetna Winterfest. Wasilla / Big Lake - Iron Dog Snowmachine Race: World&apos;s longest snowmachine race. The Pro Race class covers 1,971 miles of unforgiving Alaskan terrain from Big Lake to Nome, and on to Fairbanks. Third Sunday in February. Contact (907) 563-4414. Sutton - Annual Coal Miners&apos; Ball: Fourth Saturday of April. Alpine Civic Club and Community Council. (907) 745-3395. Palmer - Memorial Day Observance Ceremonies: Memorial Day Observance in recognition of today&apos;s veterans and in remembrance of those who served. All Alaskans are invited to attend the ceremonies. Contact (907) 376-8810. Palmer - Palmer Colony Days: Festival honoring the people who came in 1935 to start a farming colony. Parade, colony family reception, arts and crafts fair, children&apos;s games and contests, horse drawn wagon rides, 5K and 10K races, shopping cart races, nurseryman&apos;s market, and much more! Friday through Sunday, second weekend in June. Contact (907) 745-2880. Sutton - Old Timer&apos;s Picnic: Potluck honoring the Sutton coal miners. Contact (907) 745-3395. Wasilla - Independence Day Celebration: Includes fireworks, parade, kids&apos; events and a 5K walk/run race. July 4th weekend. Contact (907) 376-1299. Houston - Houston Founder&apos;s Day: Live band, free BBQ, fireworks. Third Saturday in August. (907) 373-0826. Palmer - Alaska State Fair: Alaska&apos;s largest event combines delicious food booths, legendary giant vegetables, and nonstop entertainment for the whole family. Twelve days of fair fun ending on Labor Day each year. Contact (907) 745-4827. Palmer - Veterans Day Ceremonies: The public is invited to attend the annual Veterans Day ceremonies to salute America&apos;s veterans. Contact (907) 376-8810.